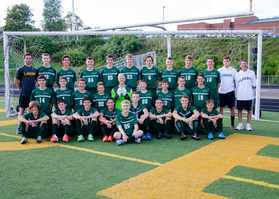 Welcome to Deer Lakes High School Boys Soccer web site! Deer Lakes High School, home of the Lancers, is located in West Deer Township which is about 15 miles north of Pittsburgh. The schedules for conditioning, practice and games are posted please check frequently for change. If you are new to our site or require more information concerning our team please state who your are and what level of acces you would like, No Solictators Please. Please visit our sponsors page for more information and support our generous sponsors!